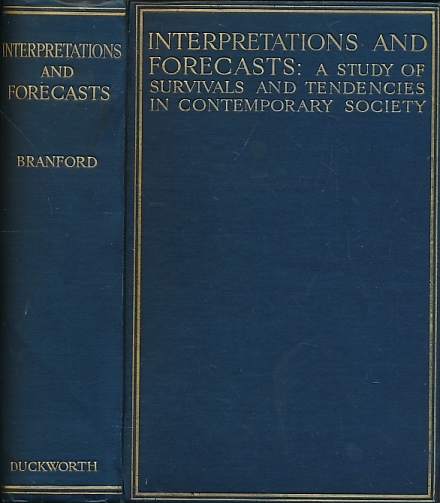 Barter Books : Branford, Victor : Interpretations and Forecasts: A Study of Survivals and Tendencies in Contemporary Society. 220 x 150 mm (9 x 6 inches) - 412pp + index. G : in good condition without dust jacket. Fep missing.